Putting your children in a childcare setting whilst on holiday can be a very daunting thing, especially if they don’t go to to any sort of provider at home. However kids clubs, creches and childcare facilities can be one of the highlights of a family holiday for both adults and children alike- firstly it gives parents a chance to have a couple of hours relaxing which as we all know is very much a luxury in our busy lives, and secondly children can learn and have the most amazing experiences through trying new things. 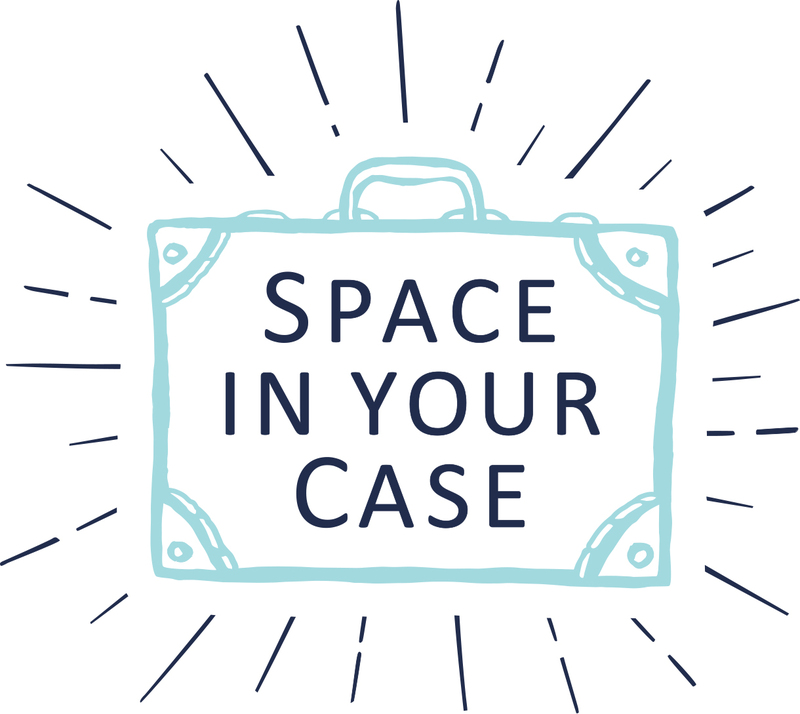 The Space In Your Case team know just how nerve wracking it can be thinking about putting your children into a childcare facility whilst abroad and with the Summer holiday season upon us, we thought it would be a great time to chat to some experts about life working in a busy holiday creche or kids club. For the first in this mini series we are chatting to Fedeline, who is the Programmes Manager at Beaches Turks and Caicos Resorts Villages & Spa. Fedeline Julien, Kids Programmes Manager at Beaches Turks and Caicos Resort Villages & Spa. Beaches Turks and Caicos Resort Villages and Spa is huge, made up of four villages with 758 rooms and suites in total, covering over 75 acres, all set against the beautiful backdrop of the Caribbean, and has been voted the ‘Best Hotel for Families in the Caribbean’. The Kids Camp is suitable from newborns up to teenagers, with a huge range of activities and fun for all ages. 1. As parents to young children, we feel really nervous about leaving our children in childcare on holiday, especially for the first time. What is the best thing you can say to reassure someone who potentially could be feeling a little apprehensive about leaving their children at Beaches Turks & Caicos’ Kids Camp? It is only natural for parents to feel a little apprehensive about leaving their children in a new childcare setting for the first time on holiday. To reassure parents, I would firstly advise them that our main focus at Beaches Turks & Caicos’ Kids Camp is the happiness and wellbeing of each individual child. Our Kids Camp staff are very experienced and have received excellent training, so parents can rest assured that their children are in safe hands. All Kids Camp staff at Beaches Resorts are members of the International Nanny Association, America’s oldest and largest in-home childcare association. To become accredited, each Kids Camp staff member must meet the minimum requirement of 2,000 hours of childcare services. Additionally, our Kids Camp staff have been trained in safety, nutrition and child development. 2. Can you describe to us a typical day at Beaches Turks & Caicos’ Kids Camp? For the Kids Camp staff at Beaches Turks & Caicos, a typical day is all about making sure parents and their children feel welcome and their needs are looked after. The camp opens at 9am and remains open until 9pm in the evening. To enrol into the Kids Camp, parents must register their children and provide a copy of each child’s passport. The camp is split into four age appropriate programmes; Infants, Toddler, Pre-Teens and Teens, and each programme offers a wide range of activities, such as sing along sessions, treasure hunts, face painting, pizza making, reggae jam sessions, snorkelling, tennis clinics, talent shows and much more. After the Kids Camp closes at 9pm, professional nanny care is available for a nominal fee. Outside of Kids Camp, Beaches Resorts offer lots of exciting activities to keep children busy. This year, we are actually celebrating ten years of ‘sunny days’ in partnership with Sesame Street®. On resort, children are always in good company with the colourful cast of Sesame characters who host various activities throughout the day including ‘Bake with Cookie Monster’, ‘Dance with Zoë’ and ‘Explore with Grover’ and in the evening, Sesame Street® Character parades and Stage Shows provide fun for the entire family! For a nominal fee, children can also have breakfast with the Sesame Street gang or have their favourite character tuck them in and read them a bedtime story. 3. What’s your favourite part of your job? My favourite part of my job is working with children of all ages from around the world and being a part of making their holiday at Beaches, a holiday of a lifetime. The trust that their parents give us speaks volume. The job can be challenging but it’s great fun and very rewarding. 4. Can you give us a top tip when it comes to leaving our little ones in a Beaches childcare setting? When leaving your little ones at Beaches Turks & Caicos’ Kids Camp, we would recommend visiting the camp with your children for an hour before their first official visit, so they can get used to the space and the staff that they will be interacting with. We also recommend that parents bring along any special items that their children are attached to, as this can help to calm them down if they become upset. Although it’s difficult, we also encourage parents to not linger when saying goodbye to their children. We find that the longer the parents stay, the harder it is for them and their little ones. 5. What do you do to ensure that both children and parents are happy and enjoy their time at the Beaches Kids Camp? We do everything possible to ensure that the parents feel that they can trust the Kids Camp team, as this is key to them feeling happy and relaxed about leaving their children in our care. We also give parents a mobile phone, which means we can contact them in the event of an emergency and they can also contact us if they have any worries or would like to check that everything is ok. To ensure that the children are happy, we offer a wide range of activities that appeal to all interests and are sure to keep them entertained. For more information about Beaches Resorts, or to book your Luxury Included® holiday, please visit www.beachesresorts.co.uk or call 0800 597 0002. I’ve never given Amy into childcare while on holiday because it’s always been something I’ve been a little nervous or apprehensive about, but I’ve seen so many blog posts now highlighting how much fun little and not so little ones have had that it’s really something I would consider in the future. I also find hearing more about the childcare programmes of different resorts really helpful as it allows you to get an overview of which place might work for you. Really good idea! This sounds like a fun, engaging place to take children for child care services and it certainly does not sound like your typical place for a child care center! Thank you for talking about this vacation spot!